I received this book last Christmas and determined that I had read 51 out of the 1001 Books You Must Read Before You Die. If I live to be 100 years old, that would mean I need to read 21 books a year in order read all 1001. That's not going to happen, just because....fill in the blank with whatever excuse comes to mind. *grin* However, I could probably manage 5 to 10 a year if I really put my heart and mind into it. And speaking of my mind, I've already started brainstorming for 2015 since we only have 8 weeks (7 1/2 if you want to get technical) left in the year. *facepalm* I think everyone will agree this year has gone by way to fast. I have a few other books in my stacks and if I get to those, we'll consider them gravy. Now the good thing is you don't even have to buy 1001 Books because the list is online. Have fun, plan away and see what strikes your fancy. 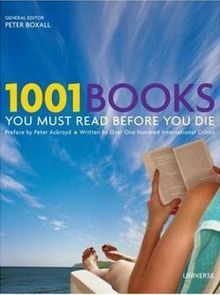 I found the 1001 Books You Must Read Before You Die rather irritating! First of all, I don't like the manipulative nature of that word 'must' in the title! Secondly, as far as I can see these are all novels so saying 'books' is too broad - there are many non-fiction books that are well worth reading. I find it far too heavy on books published in the last 25 years which may or may not stand the test of time and I admit I was getting sleepy but I didn't see iconic, seminal works like The Iliad or The Aeneid listed. By the time I had scrolled through the whole thing, I had lost all respect for the people who compiled the list! Bah! Humbug! What a fascinating list! 100 total for me, but only 2 from the 2000s! The further back, the more I'd read, most in high school & college (some in French & German). I was fortunate to have a wonderful liberal arts education back when that was "okay" - and then went on to become a librarian. Have been so happy I found your site! 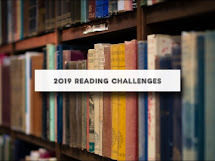 The first year I really struggled to read 52 books, but since then I've read more and more each year -- 70 the last two years, and 66 so far this year. I'm sorry I haven't posted them. Will try to do that next year. Lately I've been on a mystery/detective story kick so thought that would be kind of boring to post since I was racing thru one author's works at a time. Better aim to read some of these books from the 2000s list this coming year! Thank you for this wonderful site and all the encouragement to read! I'm sortof working on the 1001 books...but I know I won't read all of them quite simply because there are so many on that list that just simply don't appeal to me at all. I'm going to keep working though until I've read everything I think I'd like.